Jordan’s designated new prime minister said on Thursday he would drop a proposed tax law, conceding to a key demand of protesters who have already brought down the government. Omar al-Razzaz said there was a consensus to withdraw the income tax bill in comments to reporters after a meeting in parliament to consult on forming the new government. 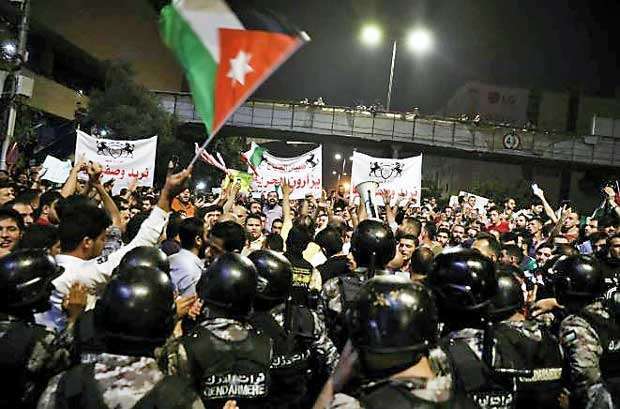 Jordan’s biggest protests in years began eight days ago over tax increases and subsidy cuts pushed by the International Monetary Fund (IMF) to reduce the U.S. ally’s big public debt. King Abdullah, often seen as a unifying figure in Jordan, on Tuesday called for new dialogue over the tax system after accepting the resignation of Razzaz’s predecessor, Hani Mulki.